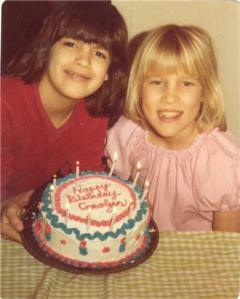 sostinkinhappy: Happy 40th Birthday, Carolyn! 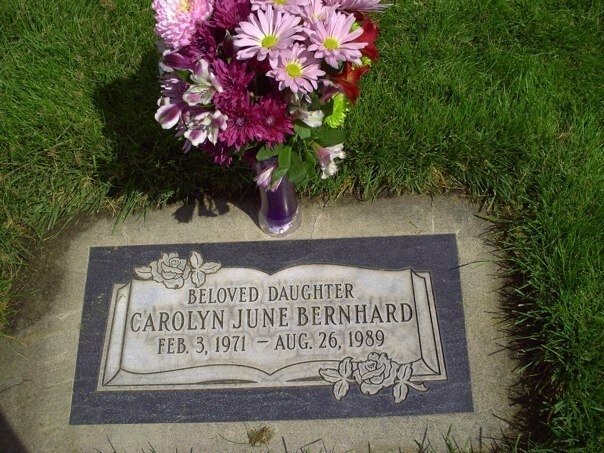 My older sister would have been 40 today but instead, she remains an eternal 18 years old. I cannot imagine what she would have been like at 40. Frankly, I do not know how we could have survived her molten presence for that long in our lives. (Said as I smile. She was certainly a firebrand and destined for things far greater than this ordinary and temporary mortal existence). While I cannot imagine it, I wish I could have found out what she would have been like at 40, surrounded by children as full of sparks and fire as she, children who inherited her charming dimples and gold-flecked eyes. I would have loved to see her as a mother. One night when we were in our early teen years there was a huge storm. Thunder and lightening and driving rain pounded our house there in north Orem for what seemed like hours. Neither of us could sleep. In the early hours of the morning, it seemed as if the world split apart when lightening struck our neighbor's house. I was terrified and started crying. Carolyn, being the big sister/protector, jumped into my bed next to me. We then lay side by side, her warm body pressed against my shaking one talking and giggling until I fell asleep. I think she would have been the same kind of mother - a fierce protector of those she loved. Devoted. Willing to comfort those in need of comfort. And always ready with a story or a joke to help you deal with your fears. And if she would have been 40 today then that makes me...old.